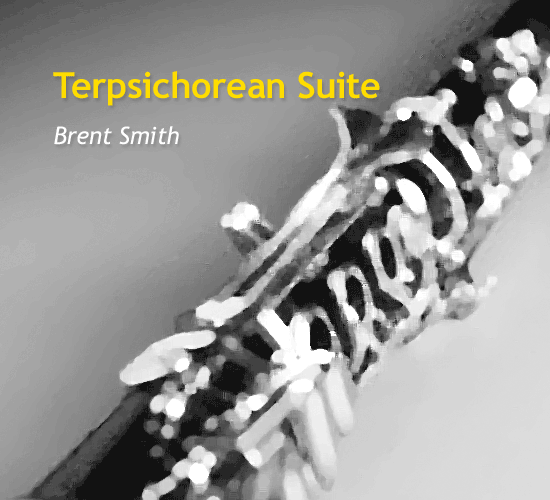 Terpsichorean Suite, named after the mythological muse of dancing and singing, comprises five dance-like movements​. 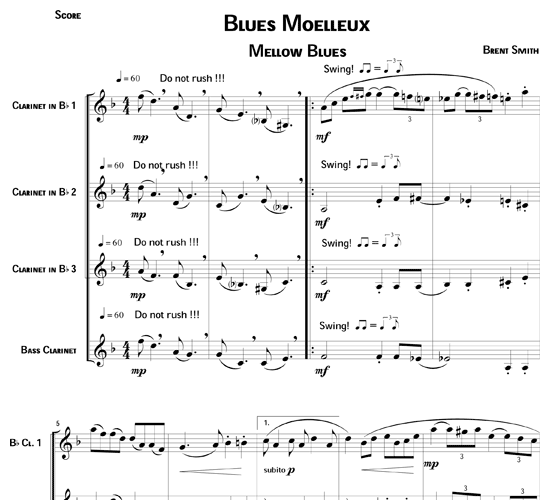 Each self-descriptive theme is explored with delightful insights of its style via reflective development of melodies. 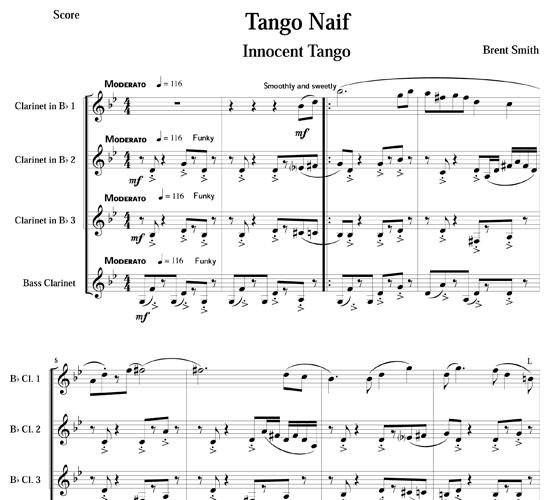 Tango Nai​f​ (Innocent) uses a lively clarinet solo to depict gently sweeping dancers. 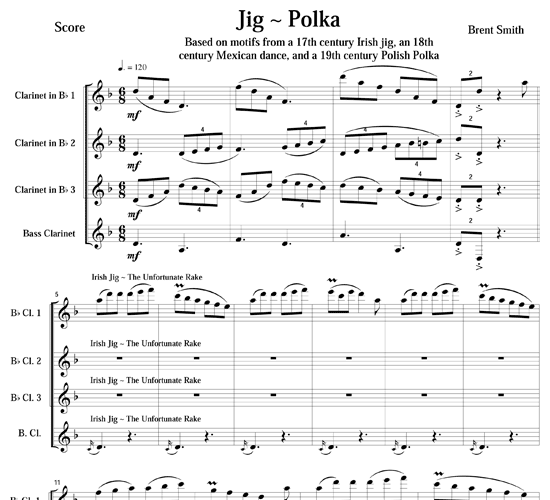 Jig-Polka superimposes three traditional duple and triple meter dances, Blues Moelleux (Mellow) features a laid-back staccato style and deep, dark cadences. 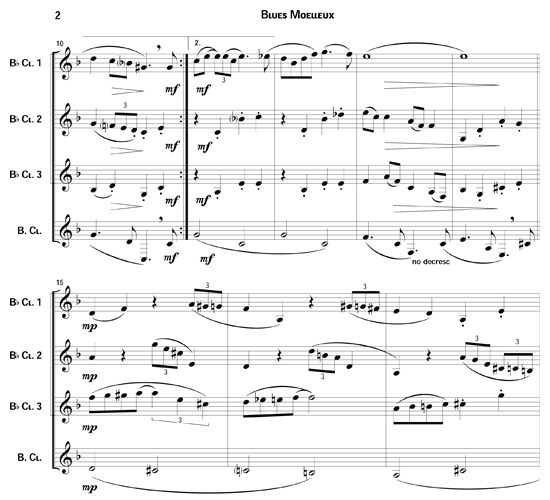 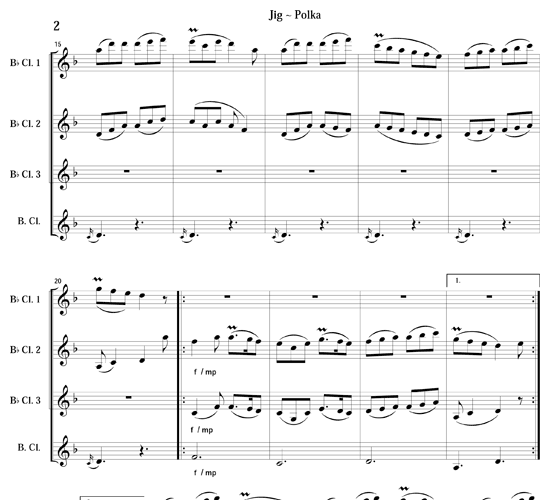 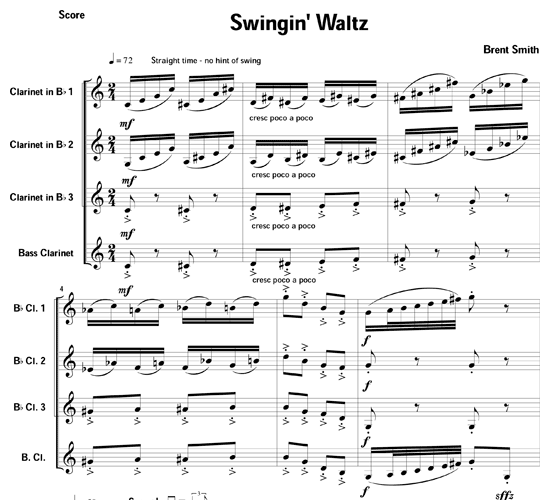 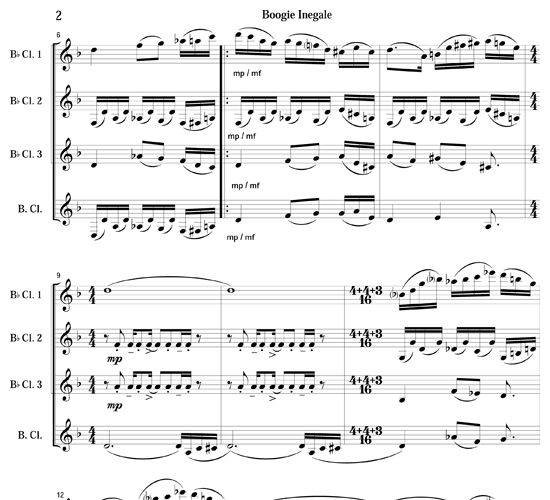 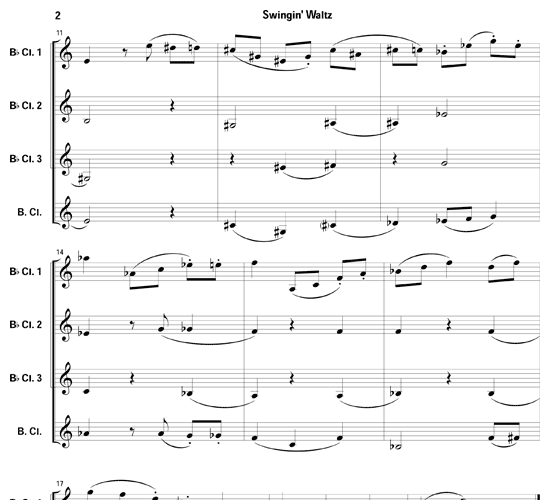 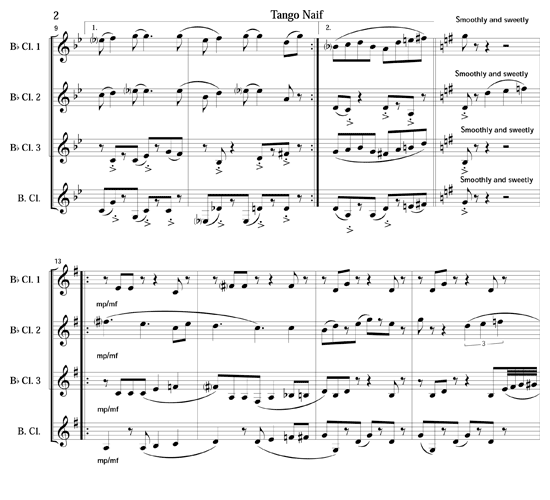 Swingin Waltz develops its cyclic harmonies in jazzy 2/4, 3/4, 5/4 and 6/4 meter. 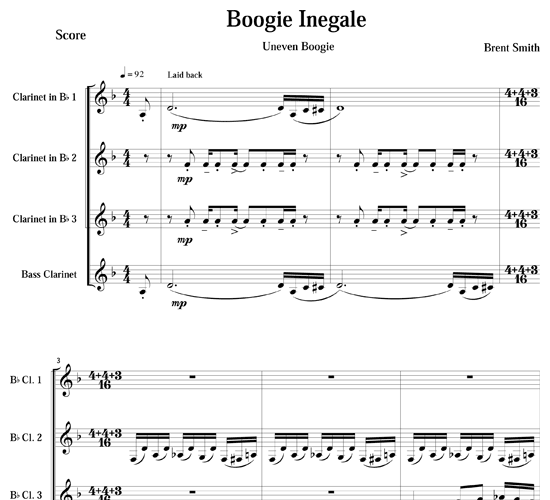 Boogie Inegale (Uneven) has a be-bop flavor developed in 4/4 and surprisingly natural-sounding 11/16 time.